Desc: Landstrom's Black Hills Gold rose blossom necklace. 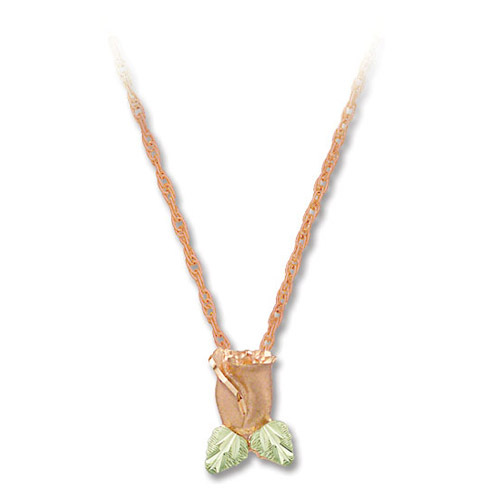 The rose blossom is fashioned from rose gold. The leaves are fashioned from green gold. The chain is rose gold.